I went for a hike today in a park in Western Pennsylvania, hoping to photograph something colorful against the white snowy background. The ground was covered with six inches of snow from a random storm this past week, providing the ideal conditions for me to document a colorful and resourceful native plant that I had recently read more about. 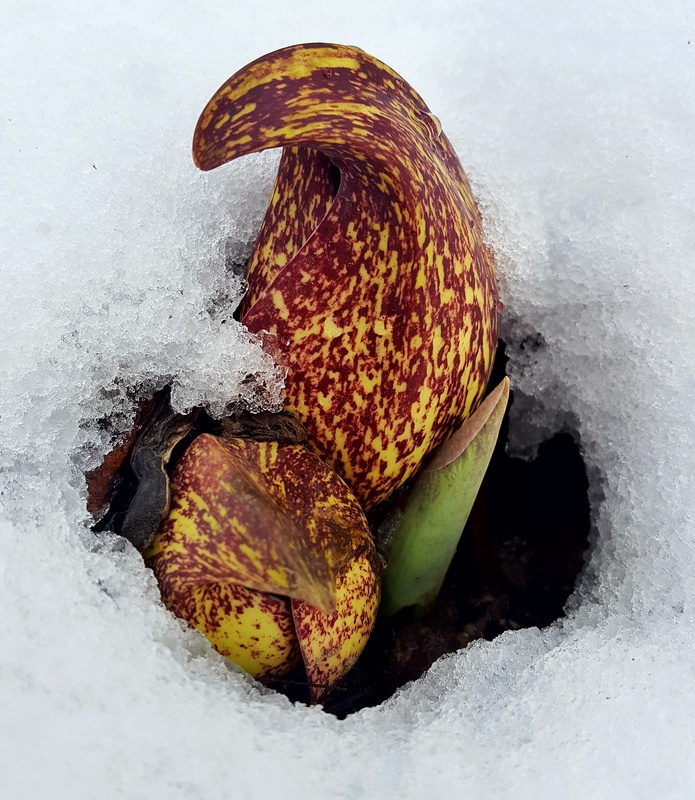 As if it wants to be the center of attention, this plant – The Skunk Cabbage Plant (Symplocarpus foetidus) – heats itself up (thermogenesis) and neatly melts the snow around it revealing its shades of purple, red, yellow and orange. Yes, the blossoms smell like a skunk. The heat that the plant generates actually amplifies the plant’s odor in order to support the pollination process. It was quite pungent. My goal was not to experience this affront to my olfactory nerve, but rather it was to document a fleeting late-winter flower. 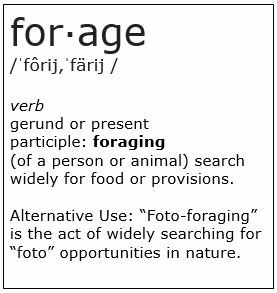 These plants grow in forested wetlands, so I hiked to one in Peters Lake Park and quickly located a large group of Skunk Cabbage. My photos are below. I had photographed this plant last year, but in a later season when it had already transformed into a large leafy green plant. Here are some of my photos from the same wetland last year.